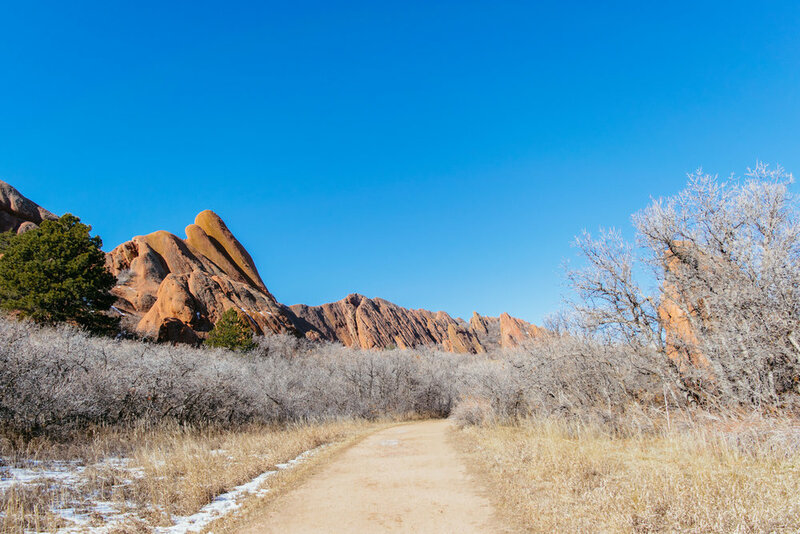 I'd been planning to start my New Year off in Roxborough for a few weeks - it's my favorite park in the state and I felt like it would be the perfect way to bring in 2018. But when I woke up on the first I just couldn't bring myself to get up. I hadn't seen my cat in 10 days and she was being super snuggly and I felt bad for leaving her. I was beginning to get a cold and was sneezing every 3 seconds (that sounds like an exaggeration, but it isn't). And really, I was just exhausted and wanted to lay in bed all day. Around 10:30 that morning I finally convinced myself that it would be worth it to go on this hike; I got dressed, stuffed every pocket I had with tissues, and got going. As soon as I was in the car I knew it was the right decision, but man was it difficult to convince myself of that when I was laying under a pile of blankets. I got to the park and realized that I never changed out my state parks pass for my 2018 one. If I hadn't spent 3 hours that morning convincing myself to get up and go, I probably would have turned around there...but alas, I paid my $7 and made some terrible jokes with the volunteer and finally entered the park. Fountain Valley Loop is probably my favorite trail in Roxborough, with Carpenter Peak coming in close second. I just love walking so close to these amazing red rocks formations, and the Lyons overlook has the best views of the park, in my opinion. I starting out on the west fork of the loop, there was a group of 4 going the other way and I wanted a little bit of solitude. I passed a few families, one with a little boy who was so in love with his surroundings. He kept yelling, "LOOK AT THOSE MOUNTAINS! I WANT TO TOUCH THEM!" as he rode on his dad's shoulders. I was the only one at the overlook, so I got to enjoy the views by myself. I took a few deep breaths and stored away that feeling for the next morning I have a hard time getting out of bed. I ended up going back the way I came, doing the loop part of this trail twice, because I wasn't ready for the day to end.